In last post, we’ve introduced the Baima Clothes City. Right next to it stands the market that we are going to take you to today--the beautiful Kapok International Fashion City. Shopping in Guangzhou has a lot of fun. There are many great wholesale markets and shopping places. Tourists can get a good price. Not to say that similar markets are mainly distributed over the same area. Tourists are exposed to large numbers of suppliers at the same place. That’s the reason why foreign tourists like visiting Guangzhou markets here. OK, let’s get down to today’s business. In last post, we’ve introduced the Baima Clothes City. Right next to it stands the market that we are going to take you to today--the beautiful Kapok International Fashion City. 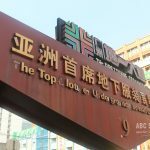 Kapok International Fashion City is one of the most famous clothing wholesale markets in Guangzhou. 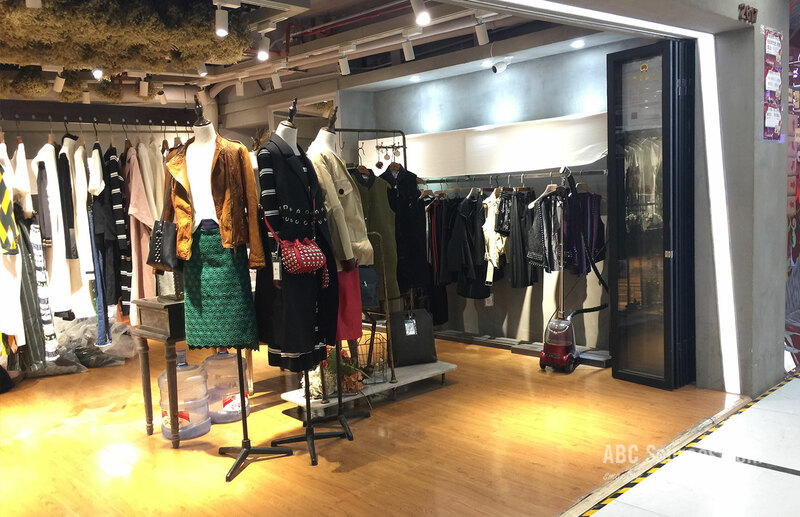 It’s near the Guangzhou Railway Station, and close to more than 20 other clothing markets of all sizes; however no one have such a predominant role like Kapok International Fashion City in the whole Liuhua wholesale circle. The Kapok building has 10 floors and its business area boasts over 60,000 square meters. 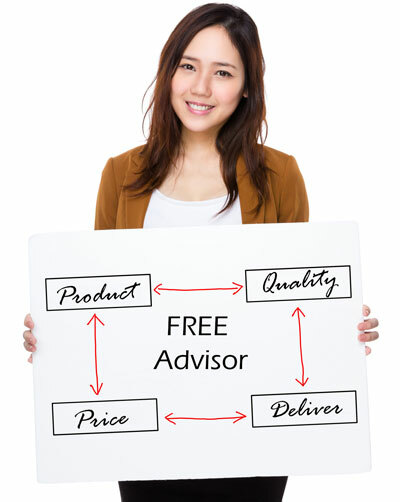 Most suppliers are from Yangtze River Delta and Pearl River Delta. They are two main clothes manufacturing bases in China. Beside from that, a lot of foreign brands from Hongkong, Macao, Taiwan, Japan, South Korea, and European countries are joining in here, and makes the Kapok the best fashion trend display center in China. Kapok has a business area of 60,000 square meters, gathering thousands of apparel and textile wholesalers and retailers from Asia and external markets. So far, about 1,800 shops are doing clothes and accessories businesses here. They are of middle to high quality but at a great price. Each day, about 12,000 visitors will swarm into to pick out their favorites. Following is the floor layout for your guide reference. 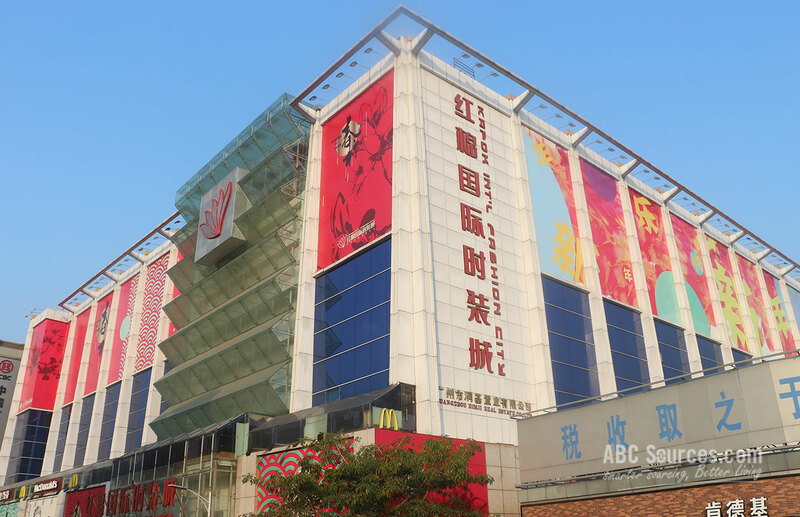 Kapok International Fashion City is located next to the Guangzhou Railway Metro Station. Just board on the Line 2 at the Baiyun Airport, and take off at Guangzhou Railway Metro Station. Out of the D exit, you’ll first see the Kapok International Fashion City. 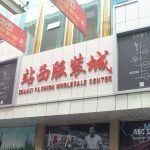 Kapok International Fashion City was established in 1993, but quickly grows into being the most dynamic clothes wholesale center in Guangzhou. It also is the most important clothes export base to destinations like Southeast Asia, United States, and Europe countries. 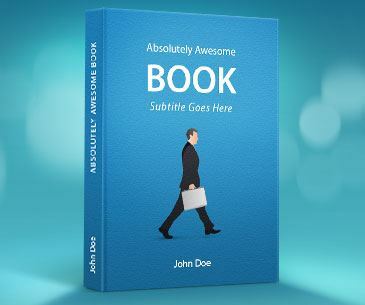 It is well-located and easy to access. 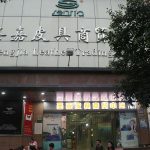 Baima Clothes market and Tianma Clothes market in the east; and Liuhua Clothes Square and Jinma Clothes Center in the south; Guangzhou Railway Station is right in front, and Guangzhou Bus Station is in behind. Kapok takes it to its advantage, but all that doesn’t add up to its predominant role in Guangzhou’s clothing wholesale category. 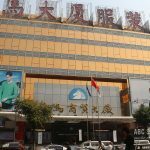 Instead, it’s the commitment that Kapok constantly keeps to offer the best fashion styles and cater to all classes, that makes itself as the heart of clothes wholesale golden triangle in Guangzhou.